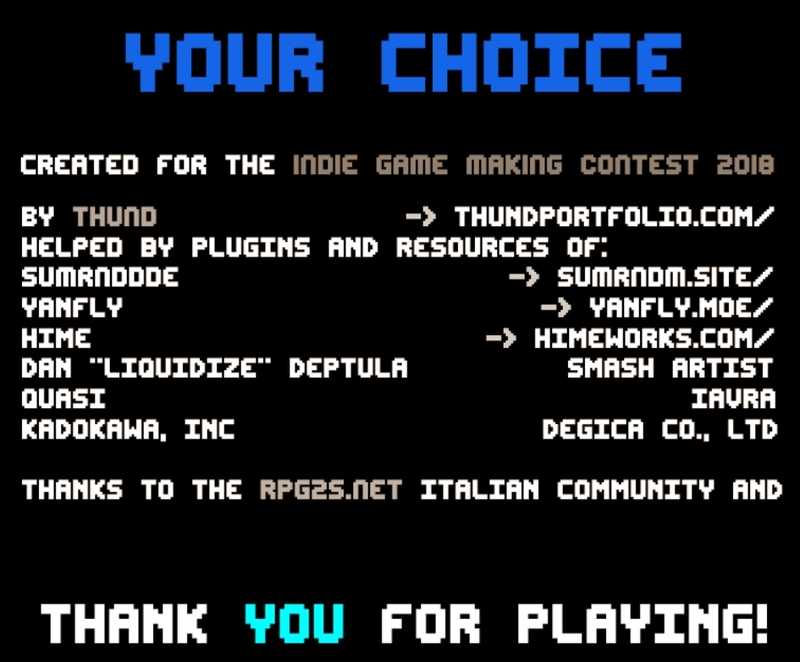 You are in the credits too (at the end of the game)! I played this game on my channel! The outcome was quite surprising. Might try it again and choose more things that actually describe me better. I still enjoyed it though! Yooo the ending described me perfectly! This was awesome! Hehe, that means the game worked properly! Thanks for playing, Whyat! Really fun game and I enjoyed it. Did a let's play on it. Hope it get's more recognition. Can't believe I'm a warrior! Thank you for the video! :D I really enjoyed it!